Montana is nicknamed ‘Big Sky Country’ with good reason. This state is all about wide open spaces and dramatic skylines with a countryside ranging from the jagged Rocky Mountains to the vast Great Plains. It is also home to America's first National Park. Towns still retain a frontier spirit - after all, here was the site of one of the 19th century’s gold rushes. Our selection of the best places to stay in Montana helps you get the best out of the state’s magnificent sights. Hiking, fishing and wildlife-watching are just some of the activities you can do in Glacier National Park, bordered by the Rockies. Here you’ll find iridescent-coloured lakes (such as St Mary Lake), the colour due to the suspension of particles of glacial rock in the water. Drive up Logan Pass, if you dare, the highest navigable part of the Park with stupendous views. Watch out for grizzlies, too, which you can also spy - along with bison, wolves and elks, plus amazing geysers and hot springs - in Yellowstone National Park. Montana’s other must-see sights include the Little Bighorn Battlefield in The Crow (Apsalooke) Indian Reservation, where General George Custer made his famous ‘last stand’. Montana State University's museum with its dinosaur exhibits, early Native American art and laser planetarium shows is another must. State capital Helena, known as the ‘Queen City of the Rockies’ with the boom brought on by the 1864 gold strike, boasts grand architecture, numerous museums and historic sites as well as a busy cultural events calendar, great restaurants and microbreweries. Alternatively, Miles City remains a true Western town with ‘miles’ of plains and badlands stretching out in all directions. So, decide which outdoor activity you fancy doing and then browse our choice of the best places to stay in Montana to plan your trip. 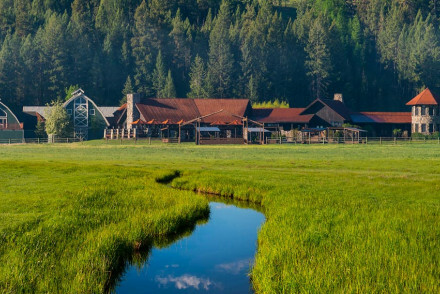 No excuse for getting bored at The Ranch at Rock Creek where all activities are included in the cost, from mountain biking and riding to archery, yoga and a ropes course. Individual chalets have a rustic feel. The bar is like a Western saloon. Stay on a working ranch at The Resort at Paws Up where you can choose between luxury tents or individual cottages. Every activity imaginable is available, plus a spa to relax. 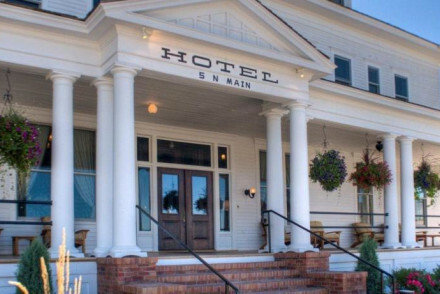 The good-value Sacajawea Hotel in Three Forks, near Headwaters State Park, has homely rooms, a relaxed atmosphere and a popular restaurant. Live music too! Luxury, rustic chalets, with leather sofas, fires and private verandas, make Triple Creek Ranch a stylish, but relaxed stay on a working ranch. After a day of outdoors activities, relax around the pool before a gourmet dinner. Log cabins with views over miles of wilderness give Mountain Sky Guest Ranch a hideaway feel - although there’s plenty of action should you want it from fishing to riding to tennis. The pool and spa add luxury edges. 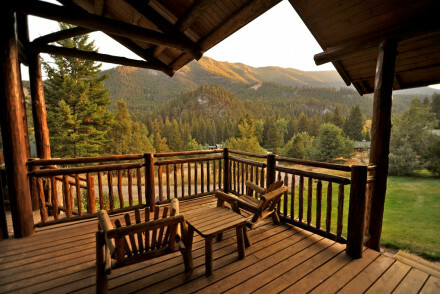 For more ideas, browse our list of the best places to stay in Montana or contact one of our friendly gurus for advice. Newly reopened 1910 boutique offers home-from-home hospitality, lofty ceilings and rustic antique furniture. Large rooms with natural light, spa inspired bathrooms and a complimentary continental breakfast. Pompey's Grill is popular with locals or head to Sacajawea Bar for live music and cocktails. Sights nearby - Norris Hot Springs is known as the 'water of the gods' and worth a visit. Fishing - Do some fly fishing in the Headwaters of the Missouri River. Great walks - Headwaters State Park. Back to Nature - Relaxing in nature. 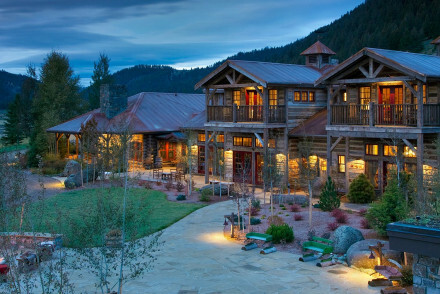 A luxury boutique dude ranch set on 10,000 operational acres of unspoiled wilderness in the heart of Yellowstone Country. Log cabins are rustic chic with patchwork quilts, comfy seating areas and porches commanding spectacular views. A real ranch experience, with a glamorous edge! Adventure heaven in 37,000 acres on a working Montana Ranch. Fully equipped cottages all year and tent city by summer. Rustic dishes served at Pomp and a western flair is brought to Trough. Getting stuck in at the ranch, exploring great outdoors or a spa day is all on the cards. An amazing find! Fishing - Truly a slice of Montana fly-fishing heaven. All-inclusive activity haven has stunning mountains as the backdrop and acres of playground. Large, cosy rooms with all the mod-cons and fireplaces. Restaurant menu mirrors Montana seasonal bounty and the bar is a brilliant way to unwind after an adventure filled day in the wilderness or at the spa. Fishing - Four miles of private access and pristine river frontage boasts many fish from Westslope cutthroat to Rocky Mountain whitefish. Sights nearby - The Ranch ropes course can be a fun day out with the family or a transformative personal experience. Great walks - See the wildnerness on foot or by stagecoach, in the winter try sleigh rides. 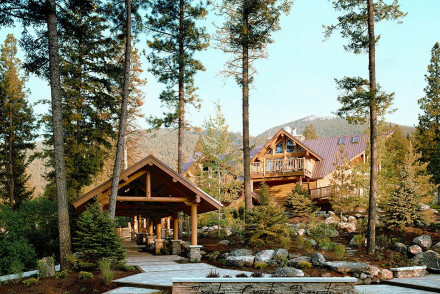 An opulent ranch in the heart of Montana offering old world experiences and new age comforts. The private cabins range from kitted out & cosy to downright indulgent with private hot tubs and fireplaces. The location is second to none and if you tire of nature the facilities are top notch. Romantic Break - Romantic trip to the mountains is made ideal with the Romantic Package which consists of 4 nights in a Luxury cabin. Foodies - The culinary options at the ranch are fantastic. Chef's table, local sourcing awareness and a culinary school. Active Holiday - Tick things off your bucket list with numerous adventures avaliable at the ranch. Restrictions on children - Children welcome from 16 years old.